A GeekyMomma's Blog: What Posts Stimulate Readers To Comment? What Posts Stimulate Readers To Comment? The more I get into the social networking scene, the more I find myself virtually-hanging with bloggers. They are not all education bloggers, some are social media bloggers, news bloggers, gadget bloggers, and then some. But just the same, we are bloggers. So, I've been reading a lot of blogs as you can see from my blog roll - down there to the bottom left. I also like to not only read the big-name bloggers, but I also feel strongly about promoting those who are just getting started and are trying to get into the conversations themselves (like me). What Makes Posts Get Comments? What I find most interesting though, as I read blogs, is that the posts that generate the most comments are not usually the posts you would expect! Sometimes, the most thoughtful and insightful posts, sometimes generate a comment or two or maybe even none! Then again, silly posts or random posts can generate lots of comments. There's sometimes no way to tell. I'd like to try to take a pulse on this. * And if you have time, also link to the post whose comments left you most disappointed and indicate why. For me to comment on a blog it means that I have the words to comment. Sometimes I may have thoughts about a post but just don't know how to write a comment about what I am thinking. Other times it comes down to how the post is written or the person writing it. Do they care about the comments? When a blogger takes time to actually read and maybe respond to comments, it makes it worth it somehow. Reading some of the big name edubloggers there are some that interact with their readers and then there are those make a post and it appears they never look back. For them, why bother? I've been blogging for four years now, and great comments are always one of the rewards I get for my writing. There's nothing like the validation that comes from not only building readership but actually having someone willing to engage with you by taking the time to comment. That said, I don't get that "many" comments, but I also wonder how you'd define many in the first place. Some of the tech blogs I read get tons of comments, and often they add a great deal to the conversation. Edubloggers, not so much perhaps because unlike the geeks out there most people in education are not camped in front of a keyboard all day long. For a quasi-personal, semi-professional blog like mine that is all over the map and doesn't bother to maintain a focus on one topic or field, I'm not surprised that I don't get more comments. Looking through my listing of postings it appears that about 6 or 7 are the most that I can consistently muster. On the other hand, the quality comments I get are frequently hilarious and sometimes insightful. So I enjoy every one. "The good ones are consistently good and the bad ones are consistently numerous." Definitely an interesting phenomenon. I think the post of mine with the MOST comments is simply a request for people who wanted to pilot PollEverywhere in the classroom. So that doesn't really count. But this one about converting Atari 2600 cartridges into iPod battery packs got 17 comments and a call from Wired magazine, so I'm pretty proud of it. But the next most comments overall was about why we (people/educators) don't wiki as effectively as we should be able to. I do know what you mean though. There are some posts that I thought were brilliant and would generate a huge amount of conversation. And they were largely ignored. Otherwise that I consider to be fluff, struck a chord with people and got comments, and generated conversation on other people's blogs. which discussed the Al Upton/miniLegends Order for Closure controversy and was added to a wiki collecting educators responses to the situation in Australia. Great conversation Lee and a topic I've been meaning to blog about for ages. If you study closely the probloggers you will see they use a wide range of strategies to build up their subscriber numbers and get people to comment. The top ones have lots of methods they use. And it's definitely worth subscribing to a few just to see how they do what they do and achieve their success. Not that I want to be a problogger but if I want to use blogging for my personal learning than I need to be effective at engaging with my readers. Now as a blogger with two blogs it provides an interesting comparison. Let first start with my Mobile Technology in TAFE blog. Reasonable level of commenting. Most commented post was probably Share Your Blogging Experience & Tips For Participants From Open PD. Had 35 comments so far. Most of the people who commented were from my blog community not participants from Open PD. There was just something about that post that made people want to comment and help others. Also the fact that I take the time to comment back and ask further questions made people want to continue the conversation. That post is a good example of engaging and working with your community. The other aspect of this post was I didn't give any information instead I asked for information. If you provide all the answers people often have no need to comment. Comment level is very low if you consider that it's site visits and number of subscribers is way higher than my personal blog. Challenges are it's a new blog and still working on building community interaction. My readers on my personal blog feel more of a connection with me. 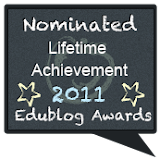 From a blogging point of view the posts on the Edublogger are way too long (I can say this because I write them :) ). 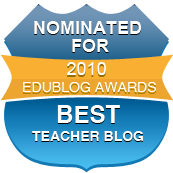 Also the Edublogger has a lot of new bloggers reading it, who are reluctant to comment. You made a great observation. I have been surprised by the comments generated by certain posts. Just from reading blogs steadily for the last half year or so, I see that the posts that raise an element of conflict get the most posted comments. I don't have the links at hand, but posts such as bloggers getting shut down and/or fired, bloggers "saying things" about twitter, bloggers talking about an elitist cocktail group, bloggers challenging the purity, faireness and competition within the edublogosphere (ie, when EduMagazine hit the net). So, it seems that the posts which stimulate readers to comment most are not those about education or academics, or professional this or that. But, they are those posts that hit a raw nerve with other bloggers. People love controversy and conflict it seems, like rubbernecking to see an accident. However, the posts which stimulate me more (an maybe I mostly comment in my mind only) are those that reflect something about my dreams and hopes and inspirations ... and do so in a non-schooly non-big-academic-I-am-King-of-Pedagogy from University XYZ way. So those that make me pleasantly reflect and mentally comment more would be blogs such as the Intrepid Teacher (which by the way also fits into the "controversial" category above, as he recently lost his job over content in his personal blog). I also love the freshness and unique way of storytelling in Dy/Dan's blog. Both Dan and the Intrepid Teacher have a way of seducing you with words in a very approachable, entertaining, intimate and welcoming way ... but yet there is much of importance to read, too. And then the other types of blogs that I think generate a huge readership and commenting punch are those that just deliver, deliver, and (did I mention) deliver the goods/giveaways. Of course, I am talking about the Cool Cat Teacher, Langwitches, Kim's Always Learning, Larry Ferlazzo, and the likes. These blogs tend to stimulate readers to comment, mostly because we are just so darn thankful. Blogs that I am personally not drawn to are those that come across as pretentious, authority-centered, or me, me, me. I am not inspired comment on those much, nor do I add them to my RSS Reader. I really admire those bloggers that have somehow gotten it right. As for myself, my blog isn't anywhere near the place that I want it to be. I need to do more personal reflection and sharing my experiences, what worked and what didn't work, etc. Still tryin' to get there. I am relatively new at blogging, so I am getting adjusted to the water I guess. At least I have a popular header image (so I have been told), hahaha! 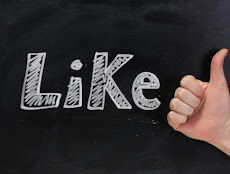 Moving away from commenting on specific posts that stimulate readers to comment ... I get the most benefit from the collective intelligence and sharing out there, bits and pieces here and there, not just one high-value high-comment post, but rather across a range of posts and their aggregate messages. It is just like history. If you read one history book and rely on it as the "truth" you will have a very limited and skewed view of reality. Sorry for not researching the links to my citings ... little time-crunched today! I went through my blog postings and found that the one that generated the most comments, found here, posted more than three years ago, was one where I asked teachers to contribute information. I think putting an idea or thought out there and asking others to contribute, really does add to the collective intelligence available! My other posts that received more than the usual number of comments are my reviews of new (as soon as it is on the market!) technology that I buy. There are always lots of questions and follow-up by others who are interested. I try to talk about ways these new devices can be used to support teaching and learning to stimulate questions and creative responses. I often have to respond to the comments by adding a follow-up comment, since I cannot contact the commenters directly. This turns the commenting area into a richer conversation at times. Sorry meant to also take up on @Riptide's great comment because it totally reflects my thoughts. " Reading some of the big name edubloggers there are some that interact with their readers and then there are those make a post and it appears they never look back. For them, why bother?". My rule is if a blogger makes minimal effort to comment back at their readers within their comments I then limit the number of comments I write on their posts. @Frank agreed about controversy however you can have several bloggers write about the same topic and one get the majority of the comments. Why? Because of larger readership, better known or structure of post grabs readers attention. Interesting post. I feel, as Riptide does, that commenting back to commenters is important but I often wonder if the comment back is ever seen. Anyway, the post that got the most comments for me was Best Day Ever. This was a simple blog about my tech day. I guess it hit a cord with others. My most popular seem to be ones in which I just talk about my learning. My least popular, for comments, are the memes. My top post had 17 comments--not really viral, and I hate to admit that five of them are where I commented back to the commenters. The post was titled "What's the Fascination" and was centered on why I blog at all. It was actually recently too. My second post to get a bunch of comments was 16 in number, and I was actually blogging about Women Edubloggers. 5 are once again my comments back. Am I fluffing my own stats Probably. One of the best parts of my blogging Personal Learning Network is having my friends over to my "house" to play once in a while. Thanks for coming! @Riptide -I agree with you that I don’t always know how to comment although I may be stimulated to think. If I feel strongly about something, but don’t have time to sort through my thoughts right then, I may send myself an email to comment on that post later. I’ve been guilty of never quite getting to some of them, though. Thanks for commenting. I’ve enjoyed your blog. Do you have a blog post that received a particularly large number of comments? @Kim –I’m starting to experience that blur between the educator and geek who camps in front of her keyboard all day long that you so fondly speak of in your comment. ☺ It seems your blogging experience is similar to @Sue where she talks here about having separate blogs. Do you agree that it is better to have content-specific blogs so that your readers know what to expect when they reach your blog? I agree with you though, that the funny comments are the most fun! @Steve Getting a call from Wired Magazine is very cool! See? We really don't know who reads our blogs. I blogged about this, and I'm still amazed, that someone from SXSW wanted to interview me because of my del.icio.us/Twitter mashup. Why do we still crave such validation from people who aren't our parents? @Sue -Thanks for the tips on reformatting this post. I learn from you always! I blogged in support of your Open PD project and I found it admirable how the blogging community really pulled together for you. It was beautiful! Thanks for commenting, Sue! @Linda -I just read your BEST POST EVER and it must have slipped by me the first time because I think it is quite poignant. Personally, I LOVE DWS. I find it not only entertaining but I also am amazed at the total physical and emotional transformations that take place in a few weeks on that show. I love the analogy you make of how you do that with your students and they are able to look amazing! They simply have to trust you and that is sometimes the hardest thing to accomplish as a teacher, isn't it? You SHOULD be proud, Girlfriend! @Frank - I agree that the seduction of words is very, well, seductive! Regardless of what you have to say, do you agree that you need to have some decent writing skills to be an effective blogger? Or does it depend on the content of your blog? I tend to agree with you also about some blogs that are total turn-offs. Bloggers who interact with their readers are so much more interesting. If there is no interaction, I'll read a newspaper or magazine article instead. Controversial blogs! Hmmm, I wonder how many of us are brave enough to go there? Not sure I want to challenge my bureaucratic organization in an effort to get comments but it sure would make for some great reading. As for that blogger/Twitter cocktail party... Are those people STILL drinking? @Kathy -Taking a look at your post from 2005 I see there was a trend towards interactive white boards, even back then. One of the things I love about blogs is archival nature of the posts and comments. I'm curious, when you put a question out there for your readers, how do you use that information? I mean, do you use the information for future blog posts, to help your district's needs, for planning presentations, etc? Great post Lee, and I am really enjoying the ensuing conversation. The post I set out to be controversial and set off discussion actually went off like a damp squid (I was trying to rack up the midwives who read my blog). The post that actually got the most hits was a post like this one,on how to comment on a blog. But the comments followed as a result of an interchange of blog posts between me and Michele Martin as well as a tweet by Sue Waters. So what I am trying to question is whether the comments came because the post was brilliant or because of increased advertising? Does extended advertising make a difference to comments? And if so, does that make the comments 'false' or not? If you see what I mean? As a musician, I always think in the terms of resonance and dissonance. If something within my core value resonates deeply, I'm going to shoot my hand up and say I'm "with you!" Two of the comments were from people I had tagged. I'm still new enough to this blogging world that I still get excited every time I see someone has left a comment. I've learned some helpful hints about blogging from Darren Draper at OpenPD and from Sue Waters blog; add pictures, titles to different sections and to comment back. So, hopefully as I continue to learn my blog will continue to improve. Maybe someday I'll get more comments, maybe not. When there's only a few comments it makes it easy to make sure I comment back. @Lisa Ideally it's good if the original commenter sees the comment (you can always email them with ti) but your commenting back is showing your readers that you value their comments. In cases like this where you have a large number of comments if you can write a follow up post that highlights the great comments and links back to the commenters that is even better. That type of post may not get a lot of comments but is valuable for community building. @Cathy having a post with lots of your own comments is excellent, and not fluffing your own statistics, because it tells me you value your readers and you want to have conversations with them. It means I will always be willing to write comments on your post. Whereas someone with 30 comments on their post who hasn't commented on any of them isn't going to have me as a loyal reader or commenter. @Lee and yet without the already large and supportative community I've built up on my blog that post probably would have had no comments. Aragh writing skills -- I'm shocking with words but that is a whole other story. @Sarah I've wondered about the increased advertising but that isn't it. I thought maybe twitter increases my comments (and sure it helps) but I can twitter other peoples posts and struggle to get people to comment on them. Hence goes back to my original point of the skills of the original blogger to write posts that make people want to comment. @Elementarytechteacher (Nedra) Looks like you've taken some of my tips from Open PD and have used them in your blog posts. Well done. You are doing really well! If you checked my earliest posts on my Mobile Technology posts I mostly had no comments. It does take time to build a community and it won't happen overnight unfortunately unless you are one of the really lucky people (and normally they already have a large community connections first). I have maintained a personal blog for 12 months and a teacher blog for 6 months, so I guess I'm still a blogging baby. I started reading blogs at much the same time as I first started writing one. I often have comments whizzing around in my head as I read but find that my natural shyness gets in the way at times. I'm most often compelled to comment when I feel a connection with the blog author - so I tend to comment with greater regularity on blogs belonging to those I have developed a relationship with, either through Twitter or them commenting on my blog. If I feel passionately about what the writer has to say then that is often all the motivation I need to comment. When it comes to the blogs of those more notable denizens of the Edublogosphere I have often mentally composed comments, but have felt so intimidated that I have been unable to write it down - what do I have to say that they would find important? Or I worry that I'll come across as sounding stupid or lacking in knowledge about the topic they are discussing. Which is silly really, as we're all human beings. I have been making a conscious effort over the last month or so to leave comments on all posts that I read. I am finding that my confidence is growing and I no longer feel wracked with guilt that I didn't acknowledge the authors hard work. It's scary being a beginner, but I have discovered that the best thing to do is just jump in and comment. @Lisa -I too often wonder if comments ever get looked at. I like to have the option to receive an email update if someone responds to the post and some blogs don't support that, so if I remember, I go back to look at my comments and it's not unusual to see my comment waiting to be moderated days or weeks later. Needless to say, I don't bother commenting on those blogs anymore. @Sarah -I just read your post on how to comment on a blog and I think it's an AWESOME how-to for readers! I'm wondering what you mean by "advertising" though. Are you referring to people linking back to their own blogs? So, are you questioning whether people are commenting just so they can link back to their own blogs? Or are you referring to the fact that your blog "awareness" only occurred because of @sue's blog featuring your post as well? Personally, I think both have a lot to do with how blogs become well-known as with all things in life. Referring to @Steve (above) who was sought out by Wired magazine, I'm sure that brought increased traffic to his blog-whether his post was so brilliant or not (sorry Steve), right? It's the Big-Break or it could be the Warlick Effect, blogged about by Ewan McIntosh in 2005, where he thanks DW for mentioning his blog because that's all it took and now people are reading his posts. 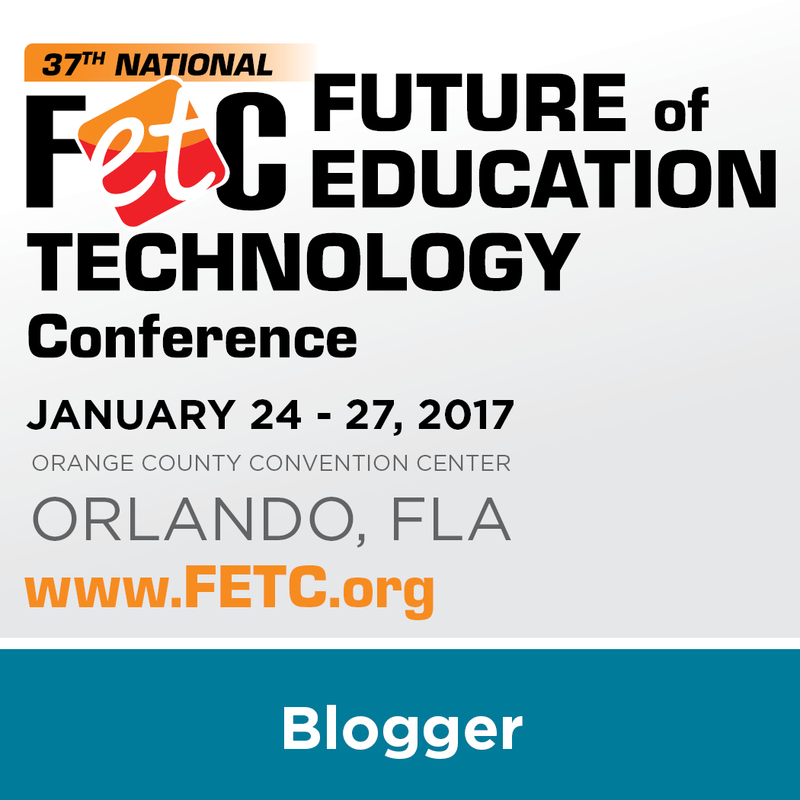 @elementarytechteacher -I challenge you to find ANY blogger who doesn't get excited when they see comments. I'm not new to blogging, but every post is a new post and believe me, I am very excited to get comments. THIS post has turned into the one that has generated the most comments. :) I encourage you to keep blogging and commenting, the blogger whose posts you are commenting on is excited to see you there! @Keamac -I understand your lack of confidence in leaving comments on some of the bigger blogs, for fear of saying something that others might perceive as uninteresting. I too wonder, "If I say something stupid, and this is read by so many people, it won't be forgotten as quickly." We are all human, but I'm with you and I also have to work to gain confidence in that area. But then I saw that there were other people,with quite interesting and well known blogs, who would leave comments that included typos, or misplaced words or misplaced "thoughts" (to be kind). I'm not thinking any less of them... Thanks for commenting! I'll post if I am passionate about something written, agree or disagree, or when the author requests it. So this is just for you. Usually I don't post, because I'm too late and everyone else has said what I feel and I don't want to repeat. Or like this comment I think of more to say or make typos and have to delete and resubmit. And I have been known to email or direct message someone about their blog - for their eyes only. Since you requested a comment, I'll provide one. There are a number of reasons why I do comment on a blog entry and reasons I don't. I did think of one recently and it has to do with RSS Readers. I'm using Google Reader and in a lot of cases, I read the entire blog entry in the reader, without actually visiting the blog site. Because of this, the "Leave a Comment" link isn't available. If something truly makes me want to comment, I then visit the site and leave one. However, more often than not, I read the entry, and move on. In some cases, I would leave a comment, but since it takes a couple more clicks, I just skip it. It's probably a bad idea, but I do think Google Reader (and Bloglines) contribute to my lack of commenting. How do you keep up with it all? I so enjoy reading all the blogs out there, but what is so crazy is the path. I'm just starting to get so confused by trying to get a handle on all of them. Luckily, connections to all of them are happening, so I guess that lessens the circle. That's ok though. For now, I just want/hope they read it. I really enjoy doing it. What I am struggling with is trying to keep up with all the blogs. And I guess I comment when triggered! Like now. I hardly get any comments. Does this mean I have no readers, bad content, none engaging, or it’s the type of content that you just can’t comment on? How am I missing the boat? I’ve given up predicting which posts are going to receive comments. I agree with you Lee, some of the posts that I like the best don’t receive comments, while others I thought were barely worth posting received a ton. You won’t be surprised that the most commented on posts were Did You Know? and Is It Okay To Be A Technologically Illiterate Teacher? (hmm, maybe the key is to put a question mark in the title). One of the posts I like the best that only received a few comments was 2020 Vision on DesignShare, but that’s partially because it included things that I’d already posted. But at the time it brought a few things together for me and I was surprised at the lack of comments. And there have been other posts that haven’t received any comments that I really liked as well. I think different ideas resonate differently with different folks, and I think that’s a good thing. For me, all comments are still pretty much a surprise because, in the end, I think I mostly blog for myself anyway (shh, don't tell anyone). It’s a way to help myself think more deeply about issues, a kind of forced personal staff development. When I get comments, it’s a bonus, because it adds to my thinking and hopefully indicates that perhaps my thinking has helped someone else. For me, commenting on my own blog is a tricky thing. Part of me feels like I’ve had my initial say in the post, so I try to let the conversation play out a little bit in the comments before I jump in. I worry that if I reply too often, then it runs the risk of me controlling the conversation. This is particularly true for my blog, since it was initially setup as a place to continue the conversations in my staff development efforts. I wanted the teachers in my staff development - as well as others that might drop by - to be able to drive the conversation somewhat, so I tried only to reply when asked a direct question (or when I just couldn’t stand it). Ironically, because my blog started reaching a wider audience, my own teachers started commenting less, thereby nullifying part of the original purpose of the blog (unintended consequences at its best). The other issue, of course, is how often folks who comment check back. Blogger recently added the option where a commenter can get emailed every time someone comments on the post (if they choose, it’s a checkbox) and I think that has the potential to help the conversation part a lot. . . .I think that may have also contributed to the increase in comments on Will’s blog lately - I’m not sure how long he’s had that option but I don’t remember it being there originally. And, of course, there’s the time factor – and the timeliness factor. I often get to conversations (like this one) a little late, so I sometimes feel like my comments are too late to add to the conversation. I often still comment, but not always. I think there are a lot of different approaches to blogging and commenting – both on your own blog and others’ blogs. I don’t think there is – or should be – a one-size fits all approach to this. We often don’t know what else is happening in the blogger/reader’s life at the time, or the reasons they may choose to comment – or not comment – so I think it’s a little dangerous to make assumptions. It’s impossible to meet everyone’s expectations – especially because they often contradict each other – so I don’t think we should worry about trying, and that includes worrying about whether a post gets comments or not. As long as we are doing our best to learn, and therefore to help our own (and hopefully other) students, I think that’s all we can ask of ourselves. It never occurred to me that if I reply too often, then I run the risk of controlling the conversation. But, you make a lot of sense here. I think this would be particularly risky where commenters are directing their topic-related comments at each other rather than the blogger, building an entirely new life of it's own. This would be fascinating to watch and I would love see that evolve on my blog some day. Thanks for your comments, Karl. Your insight is much appreciated not only by me, but by many in the blogging community. @Karl - It's interesting because of our slightly different approaches to commenting back to readers. My experience has been that most bloggers who do engage and comment back to readers on their own posts don't control the conversation rather they enhance it thus adding to the conversation. I'll need to reflect on this more to give some good examples. However I agree time is an issue when choosing whether to comment back. 03/is-there-anybody-out-there.htmlasking if there really is anyone out there (sorry cpouldn't work out how to link properly) and why we might be getting so many hits and relatively few comments. The comments don't necessarily give us the answers - but it was a very interesting exercise. I was pondering something similar on my blog--trying to get a sense from people who don't usually comment as to why, just out of curiosity. Lots of interesting conversation here. And I agree that the posts you think will generate the most comment often gets none, and then the sort of throw-away posts end up getting lots of commenting and conversation. Perhaps the lesson is to write what moves you, be aware of audience but don't worry about them too much, and the conversations will happen when the time is "right." I thought it was very mediocore but the reviews haven't been that bad. It is one of my best pieces of writing yet i haven't gotten more than a response from a teacher. Please check out and comment my blog. Comments stimulate my thoughts. I just wrote a post on connective writing at http://bloggingonthebay.org/?p=213. I invite all to take a look.